If a client or customer leaves you and they wish for their data to be deleted you can do via the following steps. There are two stages in which contacts can be deleting within Sentle. A ‘soft’ delete, and a ‘permanent’ delete. 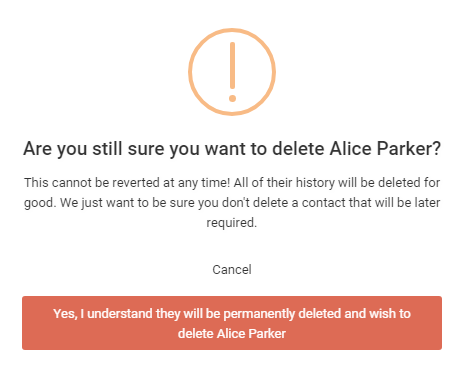 Soft deleting a contact allows you move them to a deleted contacts folder from where they will be omitted from any future communications until a time that you wish to restore them as a full contact. By permanently deleting a contact you will remove them and all data from your system. You can delete a contact by taking the following steps. From the contact record. Select ‘delete’ from the cog in the top right-hand side of the page. 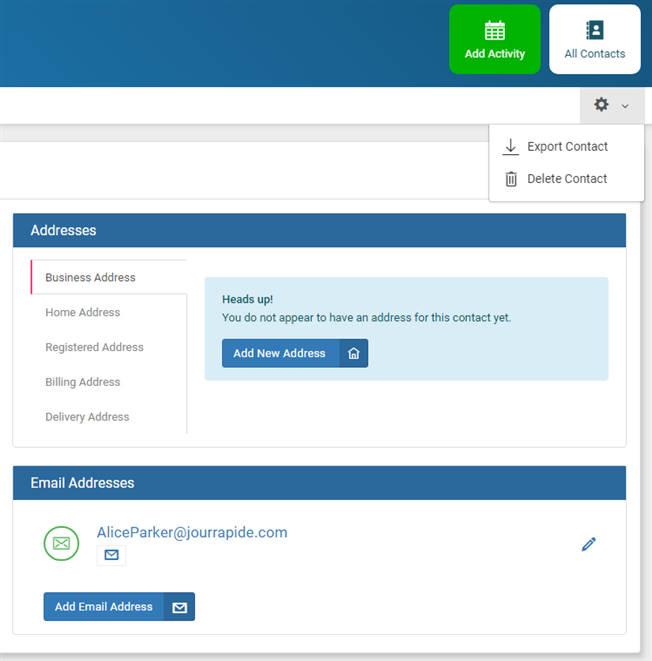 From the main address book view you can select the delete contact option on the right-hand side of the contact area. 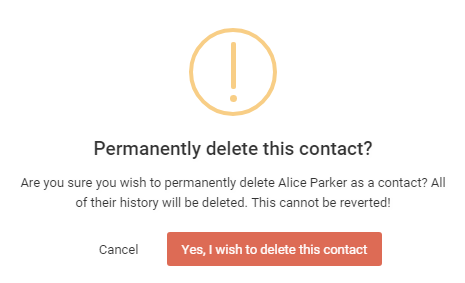 When choosing to delete the contact you will be presented with a confirmation window. 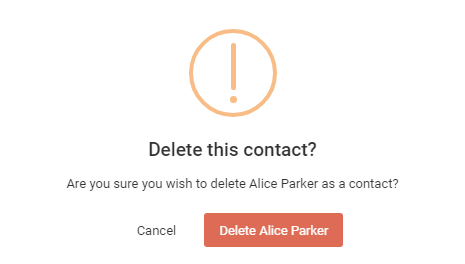 The contact will now be in the ‘soft deleted’ stage and will be placed in the deleted contacts area from where you are able to permanently delete them. You access the this the deleted contacts area via the menu located on the left-hand side of the main address book screen. To permanently delete the contact, select ‘permanently delete’ from the selection on the right hand side of the window. You will then be given a couple of prompts to be sure. You can also ‘restore’ a contact from this deleted folder by using the ‘restore’ option. If you are happy to proceed at this point the contact will be permanently deleted.